For the 12 new paintings, we will be releasing one painting a day starting Monday, December 3rd via gallery Website. Link above. "Inspired by my relationship with my own two rescued pit bulls, I try to present each dog as an unique individual and not just part of a 'breed'. I hope that by capturing them in fantastic and playful situations people will see them in a different light, changing the perception that has long plagued them. 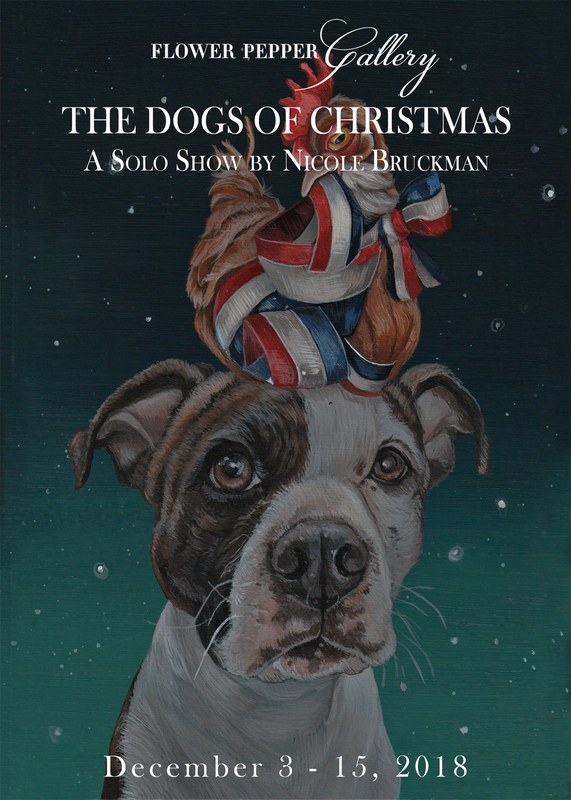 In this series, the 12 Dogs of Christmas, I painted rescued dogs, many of whom were adopted from Downtown Dog Rescue (where I adopted my two pit bull mixes, Pearl and Tank), each portraying a line from the song The Twelve Days of Christmas."